I was on my way home and just turning around the bend of the river when I saw lights. Lots and lots and lots of lights. There were police cars and fire trucks and ambulances, all crammed into the parking lot of the Mid-America All Indian Center. 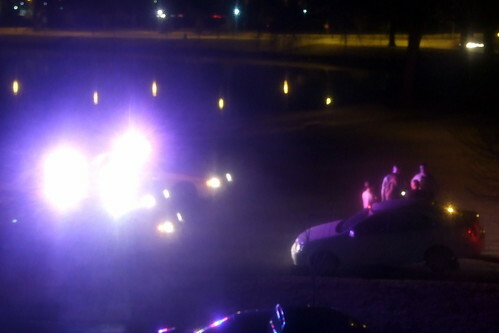 They were also parked in various spots along the river. So I figure some drunks either fell into the river or there was some sort of mass murder; the victims being thrown into the water. I was pretty nervous to actually walk into my building. I just knew there was a murderer hiding around the corner!